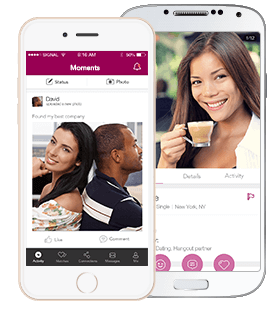 #1 Interracial Dating App & Community for Black / African American, White / Caucasion, Hispanic & Asian Singles. "My ideal date would be with a gentleman who will open doors. Let's go grab dinner, see a movie..."
" I would like to find a young man to spend sweet moments with. A good friend to talk and to share things of our lives..."
" I am looking for someone who wants to enjoy life as much as me - someone who appreciates the moment..."
" Looking for an honest, sweet lovely lady.That knows how to keep it real. Have goals and good values when it comes to life..."
© whitegirlsblackguys.com 2001-2019. All rights reserved.